There is no store bought product better for the garden than compost, and I believe it’s the single most important ingredient we can add to our gardens. Even better, it’s free and we can make as much of it as we want! 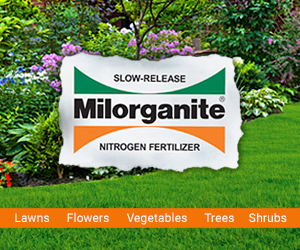 It helps add life and fertility to the soil, improves drainage while allowing the soil to retain sufficient moisture and it creates good soil structure, a critical element in allowing nutrients and water to be absorbed, and roots to spread. 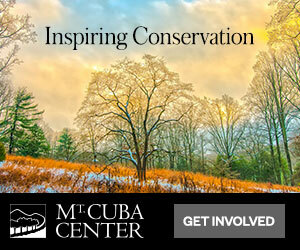 Composting occurs in nature constantly. Plant and animal waste breaks down into soil-like particles over time, with no involvement from us. 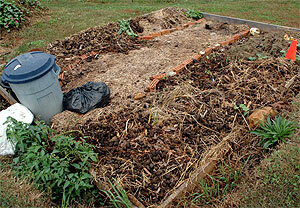 The simplest compost piles are just that; piles of yard waste and kitchen scraps. There are no fancy systems, containers, bins, or compartments to facilitate the process. Although a simple pile will suffice to make perfectly usable compost, more elaborate systems can be built or purchased to contain the mix, and help speed up the decomposition process. Compost structures come in many shapes and sizes – your choice will depend on the space and materials you have available. Structures can be made of woven wire, snow fencing, old wooden pallets, concrete blocks or bricks, or a 55-gallon barrel. Successful composting can even be accomplished in a modified garbage can. Structures can also be made with single or multiple compartments. Once you’ve decided what structure is right for you, position your compost bin in a shady spot near a water source. Make sure it has good drainage, is protected from direct winds and is at least 2 feet from any other structure. There are four essential elements necessary for compost to occur. They are water, air, carbon (brown stuff, like paper, cardboard, dead leaves and twigs), and nitrogen (green stuff, like grass clippings and vegetable and salad scraps). To start a compost pile, you don’t need anything fancy. A simple accumulation of green waste (10-25%) and brown waste (75-90%) will get you going. Every week or so, try to mix up the pile, so you add oxygen to help speed up the decomposition process. Add a sprinkling of water, enough to give the pile the moistness of a damp sponge, and you will be well on your way to making compost. Depending on the variables, you should be able to have usable compost in about four months to one year. You can add many items to your compost pile or bin. Almost anything from the yard or garden can be added. Try to avoid adding limbs that are thicker than a pencil. They’ll take longer to break down. Also, avoid adding diseased plants. The disease pathogens may not be killed in the composting process, and you can end up adding diseases into your soil. I also choose not to include weeds into the mix. Weed seeds can persist for a very long time, and may survive through the composting process, only to be spread to other areas of your garden as you add new compost. When adding household products, the biggest items to avoid are meat, fish, bones and dairy products. They can attract outdoor pests and can harbor many types of bacteria and disease. Your compost will be ready to use when its dark brown, earthy-smelling and crumbly. 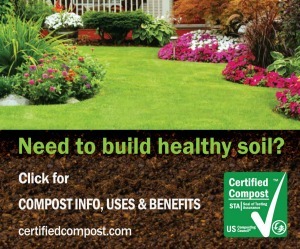 The end-result is undoubtedly the best soil food and conditioner available – it’s recycling at it’s best! We are having issues with coyotes,mice, and rabbits in our compost bins.The main issue is hauntra virus. We are in Northern AZ. Have any ideas to help.We need the compost for gardens. Where do I start – – twigs & sticks from the garden as a 1″-2″ bottom layer, etc.? How often would I need to till it with a pitch-fork for example? As we’ll be having our first snow in Denver tomorrow, any advice would be greatly appreciated. Hi Bryan. More holes in your can would be great to allow for better drainage in the bottom and more air all around, so yes, add holes on top and more on the side if you’d like. And the more you can aerate the contents, the faster it will break down. And keep it moist as well. Don’t worry about ingredients so much. While a few small twigs and sticks are nice to create air pockets, they don’t break down very fast so you’ll be picking them out eventually when everything else decomposes first. And here’s a tip for easily aerating your can. See if you can strap the lid in place with bungee cords or such and roll the can on it’s side. That make be sufficient to rally mix it up. The fuller the can gets, the harder it is to hand mix so having another way to do that will greatly help it break down quicker. Good luck. Denise, I’m not sure which kit you are referring to as we cover a lot of ground. But if it’s the worm tea kit, it is no longer available from the supplier we initially used as they are out of business. But google “worm tea kits” and you’ll find options. If you are looking for something else, please clarify and I will try to help. Hi Joe. I’m really enjoying you show. I DVR every episode. 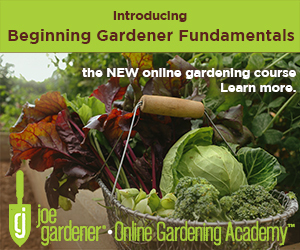 I’m a beginner vegetable gardener. I want to start a compost pile. I have a 1/2 acre property with a small wooded area in the back. I’m interested in making the pile naturally-occurring. I’m vegan, so only clean food sources will be added to my compost pile. 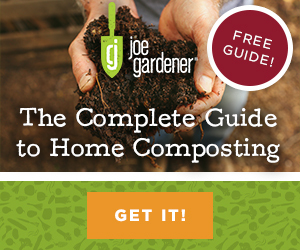 How do I start & maintain my compost pile? Cindy, if you check back on the site and type “conpost” into the search field, I know you will find everything you need to know from all that I’ve written on the subject over the years. Yes, there will be more than you need to know but several articles address specifically how to get started. 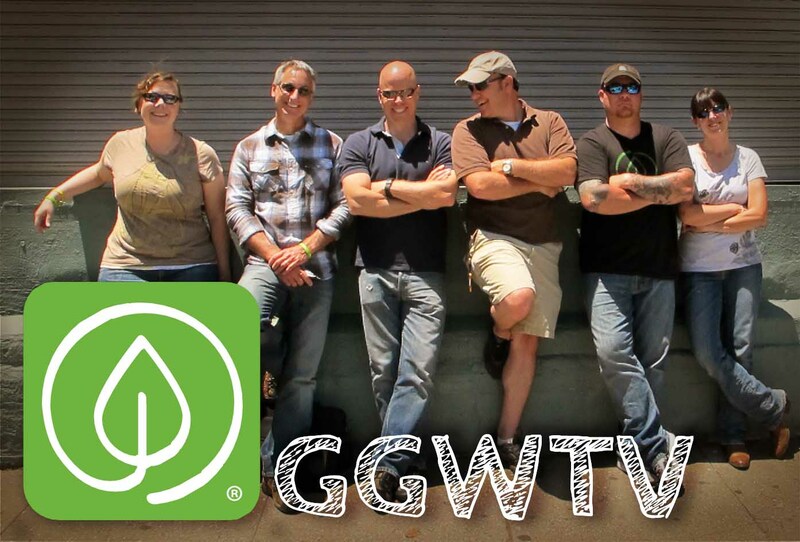 Also, I suggest you watch the episode we did on Backyard Composting. Here’s the link. Good luck! Do you have any advice for composting in apartment situations? Mine does not have a balcony, though I do have a small fire escape. I would definitely used a “closed” composting system vs. an open system. Basically this means your compost is breaking down in a contained environment, like a compost barrel or similar bin where you can get it enclosed. You can make one using a rubber trash can with tight fitting lid. Or, search online for similar options. I don’t think you’ll have the room for a traditional closed system like a “compost tumbler” but if you drill a few holes to allow for drainage, you can add your ingredients and keep it covered. I would also advise that you keep some straw or a bag of wood shavings, like pine or cedar that you can get at a farm supply store (Like Tractor Supply). Add a light sprinkling over the top each time you add new ingredients to help absorb moisture and potential odor. Keep your ingredients mixed every week or so and moist as well. Find a container that suits the space that you can allocate to this and you will be well on your way. pallet system. Where can I find that? “Hey Nicky. As a follow up, I went back and checked and I realize that I did offer “more info” to building this pallet system in the show, so I will do that this week and make sure you know when I get that posted. Thanks for your patience and I’ll take care of it.” I can’t seem to find it. Loved the program. I have a lot of Jack Pine in my yard and some some White Soft Maple in my yard. What are the rule of thumb with adding any Pine clipping to my compost. I know that Pine beds have a very high Ph levels and promote Moss growth. Don’t worry Daniel about an adverse impact of adding pine clippings to your compost pile. Assuming you have a diverse blend of ingredients in your pile, the other ingredients will balance out the acidic (low) pH of the pine. The biggest drawback is that the pine takes longer to breakdown than other ingredients so plan on being more patient if you intend to add these. If it were me, I’d likely use the pine clippings as mulch somewhere and not add it to my compost, unless you’re not in a hurry to get to the finished results. Hi Nicky. The demonstration in the episode is all that currently exist. Since the 7 pallets are simply attached with decking screws, there’s not much else involved. You may have noticed that I chose to embellish my pallet bins with hinges and a cover, I improvised all of this. I’m not sure you can really mess this up and what you see is pretty much all there is to it. If you have any specific questions, please let me know. Good luck Nicky. Hey Nicky. As a follow up, I went back and checked and I realize that I did offer “more info” to building this pallet system in the show, so I will do that this week and make sure you know when I get that posted. Thanks for your patience and I’ll take care of it. You mentioned that the decomposition process depends, in part, on it’s reaction with the soil. Do you also include soil with the green and brown mixture? Hi Marie. If I understand your question correctly, adding soil (specifically compost) will help inoculate the new compost ingredients to speed up the process somewhat. It’s not necessary to add soil though. The decomposition process will still happen eventually. I just like to add some if I have it available, but again, it’s certainly not required. If that didn’t answer your question, let me know. Good luck. I do not put tomato or raspberry vines in my compost. I have been told this could transfer nematode and disease….Is this so? Is there anything else I should not put in the compost? Bev, the most important thing to remember is to keep all diseased plants and leaves out of your compost pile. If the temperature doesn’t get hot enough, diseases can survive and spread to your garden and plants when the finished compost is used. But, don’t not use tomato or raspberry vines just because of your concern. They are perfectly fine to add to your compost if not diseased. Nematodes are microscopic worms that live in soil. Although I suppose it is possible to transfer them to your compost, I personally have never experienced this as a problem nor what I let that stop me from adding vines, unless I know I had an existing problem. Thanks for this article. I’m pretty new to composting but am trying a second time this year. I hesitate to compost because most of our produce is not organic. It seems unwise to put foods treated with pesticides into compost if one doesn’t want pesticides in the soil. I’d love to learn about the breakdown of pesticides in the soil, how long it takes to “decompose” into elements less detrimental. Can you provide any direction to me in research on pesticide breakdown? I have recently been converted to recycling, organic gardening and raising chickens in my back yard. My question is, I am doing composting, or trying to, but I don’t know what I’m doing. I have a plastic toy box (about 4 ft by 2 ft) and have been adding yard clippings, fire ashes, coffee grounds, egg shells, used tea bags, veggie scraps, fish and soup stock leftovers, which includes the chicken bones that are very crumbly after I simmer the stock for 24 hours. I add fish because I heard that is how Native Americans taught the prilgrams to get there corn to grow (burying a fish in the soil so the plant gets fertilized that way). But my main concern is how I do it. I have my compost bins filled to the brim with water and add thing to it and stir it about once a week. The methane gas smell is heavy so I do know it’s breaking down and I have used the “compost” in last years gardens and this year and the plants THRIVE with it. I have to admit, it’s not crumbly dirt looking, I call it my “slop”. But I want to know if there is a reason why I shouldn’t be doing this “stew” styly composting? What’s the best way to keep bugs/insects out of your compost? I noticed last year in my compost that I had grubs (bettle larvae I’m assuming) in the compost that was ready to use. I had me concerned because I didn’t want to add in compost that would harm my garden by adding in the grubs. I don’t add any meat, fish or dairy either that would especially attract insects.